Are you looking for information on how to choose a bathtub? While a shower might be quicker, there’s no denying that a long, soothing bath is a luxurious way to get clean and relax after a long day. 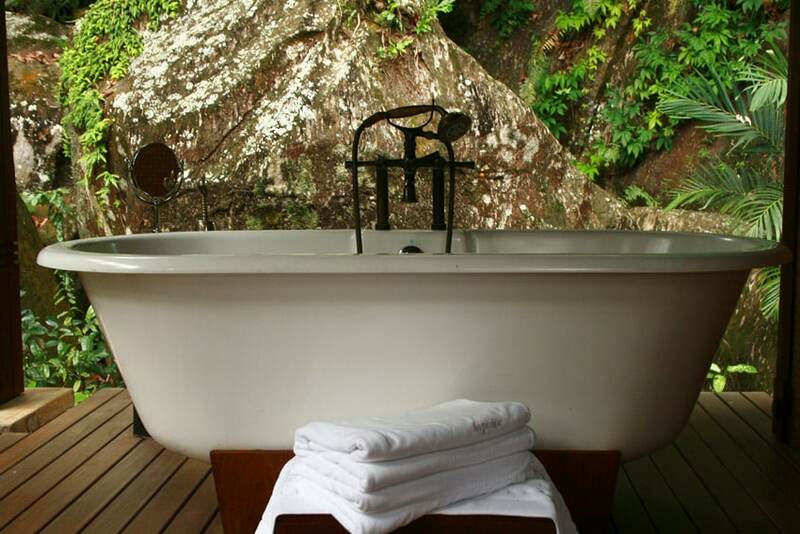 A bathtub is a great addition to almost any bathroom – as long as you choose the right one for you. The first thing you have to look at when choosing a bathtub is where in your bathroom you’re going to put it. 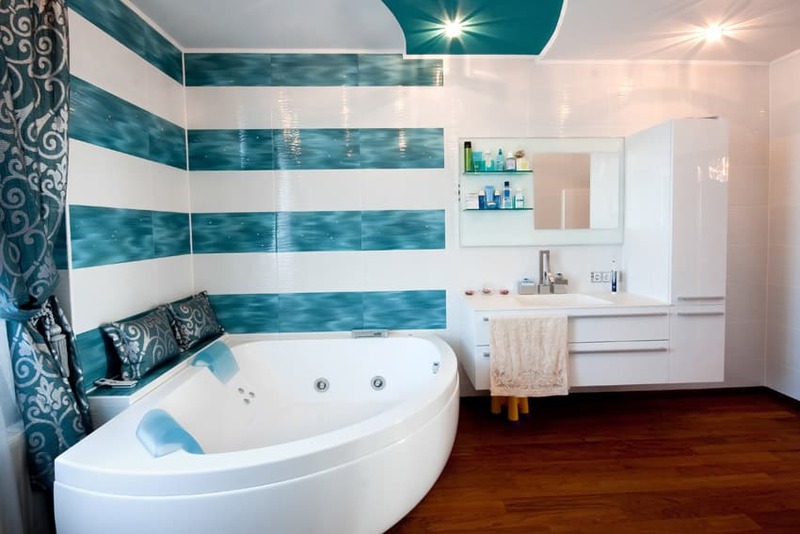 A bathtub is a rather big feature so you need to make sure it fits your room design. To make sure you choose a bathtub that fits, carefully measure the area where you want your tub to be placed. This will help you determine the appropriate size for your bathtub. Remember to take into consideration how the tub will fit in with the overall flow of your bathroom. You don’t want a tub so big that it blocks your access to the sink or countertops. After selecting where you bath tub will fit, you need to ask yourself, who is going to be using the tub? You need to ensure the size and shape of the tub fit its users. 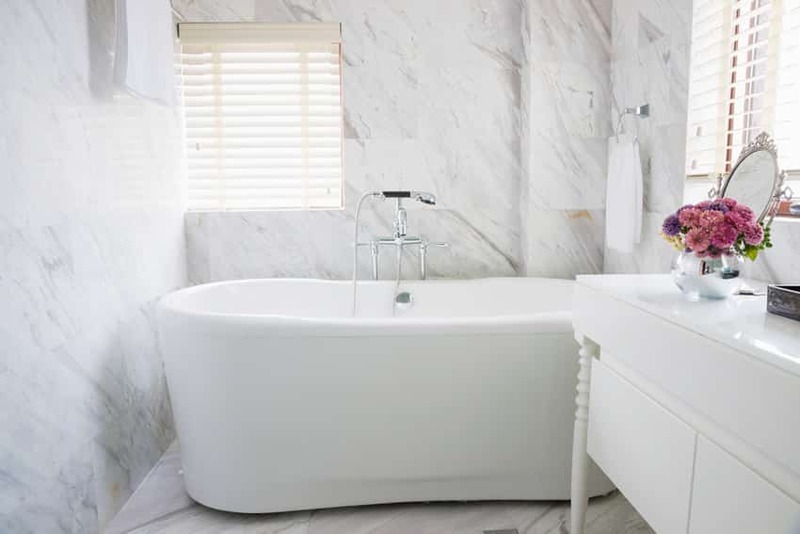 To make sure that your tub is comfortable, you need to consider height and slope. There should be a backrest that will allow you to relax against the side of the tub at a comfortable angle. You will also want a tub that allows you to fully extend your legs while reclining. Molded armrests, a wide rim and even grab bars are features to consider. You also need to consider if your floor can handle the weight of a tub. 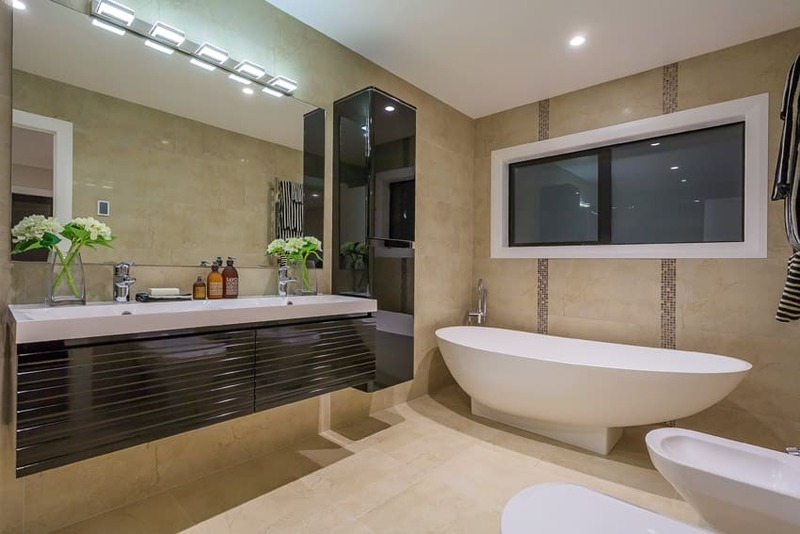 Depending on the material they are made of, some tubs are heavier than others and – when you’re talking water volume plus the weight of a human body a tub is a very heavy bathroom fixture. You may need to consider some structural reinforcements in your tub area. 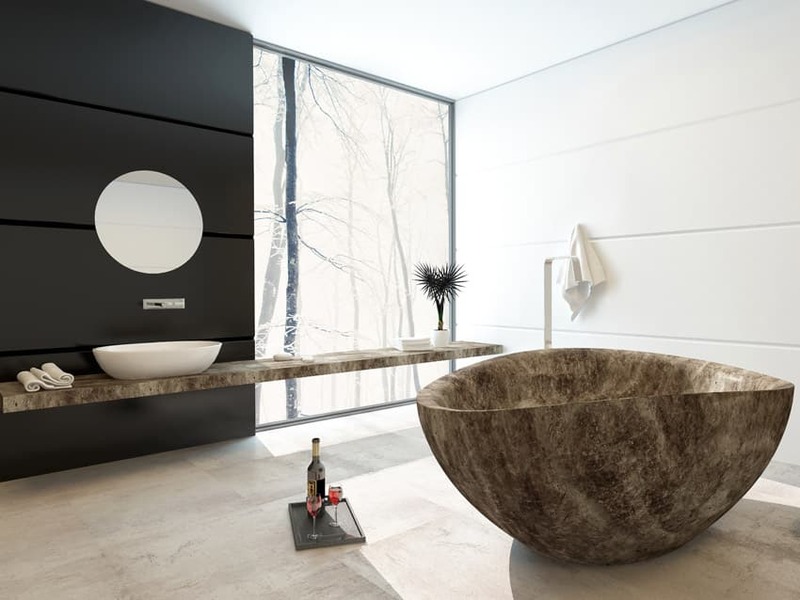 After choosing where your bathtub will go and what size and shape it will take, you need to think about the type of bathtub and material it will be made out of. 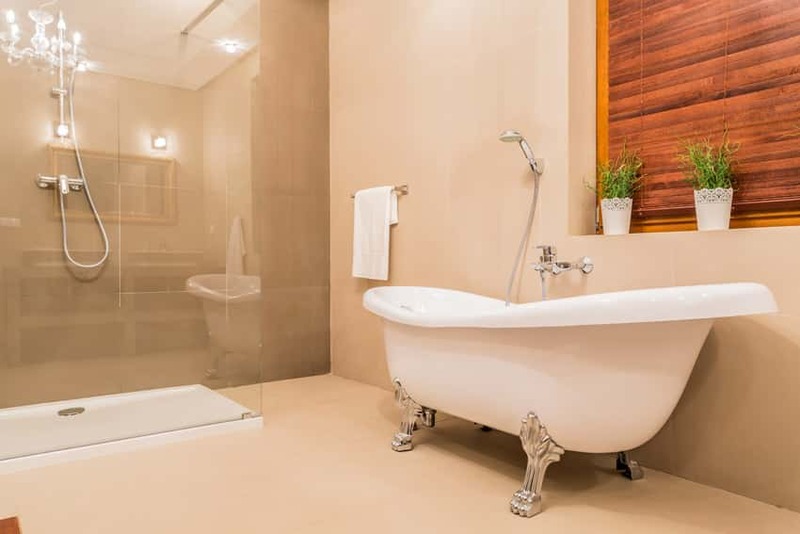 Here is a list of the best types of bathtubs with pros and cons of each material and whether they may be worth considering. Acrylic is a material made of fiberglass sheets placed under sheets of colored acrylic. They can come in a variety of colors and are readily available in home improvement stores. A popular choice of acrylic is called Lucite which offers a smooth and non-porous surface, which beteer scratch resistance and comfort than regular acrylic tubs. Acrylic is a naturally warm material that is easy to shape and mold into soft contours – which is perfect for shaping your bath tub. It is easy to maintain, and will stand up to high temperatures, chemicals and mildew. Regular cleanings with a non-abrasive cleansers will keep acrylic clean without damaging the surface and – if you do scratch the surface of acrylic, all you have to do is give it a light sanding and the scratches should disappear. This material is basically cast iron with a coating of enamel. While the shapes and sizes of tubs made of this material is limited, the enamel coating allows for a range of rich colors with a high gloss surface. Enameled Cast Iron is a very strong and durable material. However, this is also a very heavy material so installing a tub of this material might require some structural reinforcements. Tubs of this material are scratch resistant and hard to chip or crack, good thing too as if a chip or scratch does occur, your not going to be able to fix it yourself. If your enameled cast iron tub gets damaged, a professional will be needed to repair it. Gel-coated fiberglass is also known as fiberglass reinforced plastic or FPR. It is made by spraying polyester resin into a mold and letting it harden. The resulting material is light-weight with a smooth glossy surface that is durable and scratch resistant. Gel-coated fiberglass is easy to mold so bathtubs made of this material can come in many shapes and sizes. Be aware though that the surface of fiberglass can be susceptible to stains, mildew and mold so you will have to be vigilant and keep this tub clean and dry when not in use. Cultured Marble is an engineered stone material that is similar to quartz countertops. Cultured Marble is formed from a blend of crushed limestone, mixed with fiberglass resins and fillers which are then coated with a clear gelcoat. The combination of materials used in cultured marble produces a material with a tough and durable, non-porous surface with a warm, high gloss. Cultured marble is stain resistant and easy to maintain. However, the gelcoat does wear out after time and and expose the porous body of the material. 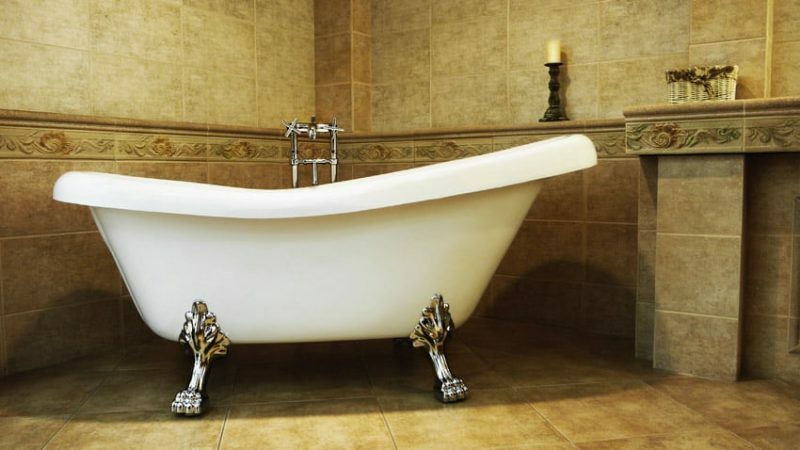 Also known as enamel on steel, bath tubs made of this material have a similar look to cast iron tubs but are lighter as steel is lighter then iron. With porcelain on steel, a thin sheet of steel is coated with a layer of porcelain enamel leaving it with a beautiful glossy surface that is easy to clean and maintain. Squirting the line between natural and and man made, these composite tubs are designed to closely resemble natural stone. These resin composite tubs are highly durable and can be seamlessly created to conform to the shape of the body. A common questions when wondering how to choose a bathtub is how do I know which size to select. Standard Bathtubs Dimensions – Most often bathtubs come in one of two sizes which are 60 inches in length by 30 inches wide, or 60 inches in length by 32 inches wide. When selecting make sure you choose one with the proper drain location. The drain should be on the left or right side to correspond with the position of your tub faucet fixture.